The beaches are usually covered by fine pebble stones, and sometimes by bigger stones or concrete. Entrance is free for all beaches in the Okrug Gornji area of Ciovo. Sandy beaches are rare, usually to be found on islands further into sea. There’s a diving club is in Mavarstica bay. A proper licence is required for scuba diving, and its only allowed in specific locations permitted by the local authority. Free diving is permitted as well as fishing on the coast line. Underwater fishing or trammel fishing is prohibited. A driver’s licence is required to operate a boat above 4 HP. 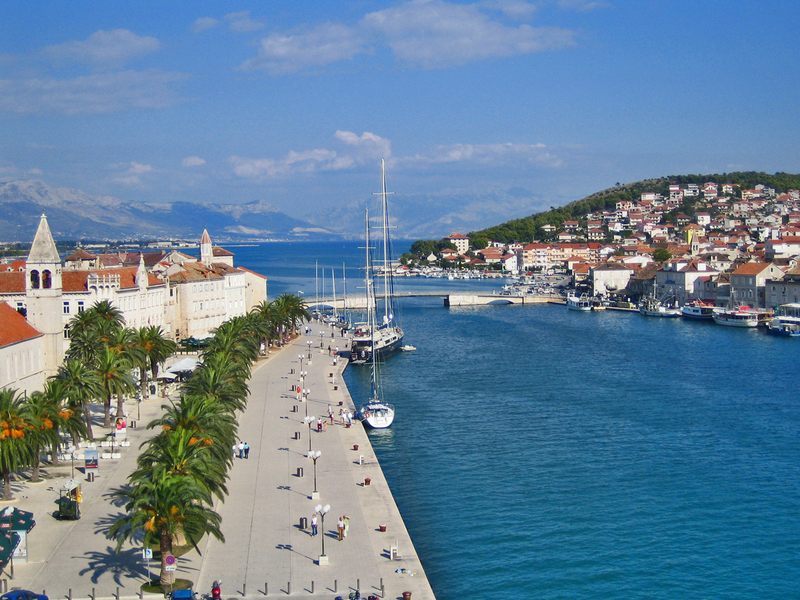 Parking along the beach is charged by the hour, and parking in the Trogir area is only allowed in specific locations. A petrol/gas station is located in Trogir, open 24 hours a day. Car repair shops are in the Trogir area and open on week days only. Docking a ship costs approx. 5 €/day/ship + other port costs. A post office, fruit market, fish market, meat market, bakery and other convenience stores are located in the centre of Okrug Gornji. Doctors’ and dentists’ offices are also located in Okrug Gornji. They’re usually open on week days only. An emergency room is located in Trogir, open 24 hours a day. Trogir’s fish market (next to Konzum supermarket) is open daily from 6AM to 10:30AM . 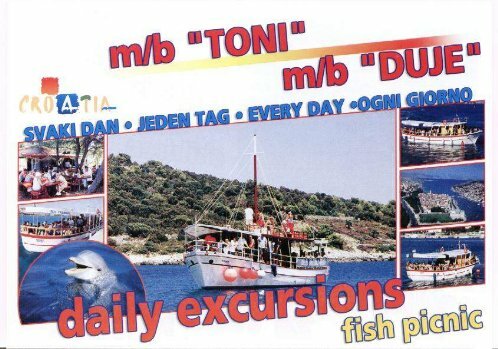 There’s boat excursions every day going to nearby islands (Solta, Drvenik, etc) which include lunch. They stop at the islands for a short swim and to enjoy the beautiful sights. Tickets can be bought 1 day before the trip. 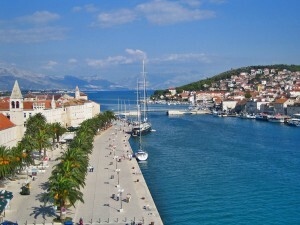 Place of departure is the Okrug Gornji port. 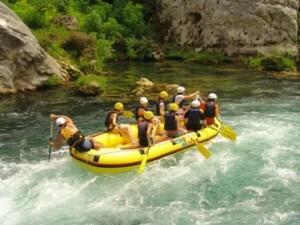 Rafting on the Cetina river near Omis (approx. 30 km from Okrug) is available for anyone who wants to enjoy the area’s beautiful nature. Reservations need to be made ahead of time. Water sports are available at Okrug Gornji’s main beach. Rent–a–scooters can be found all over the place. We can recommend: “Bole”-rent-a–scooter, located at the central beach. Passport with a valid driver’s licence + 50 € deposit are required. Restaurants recommended by us are: “Fumija” and “Leonardo” – located by Okrug Gornji’s port. “Fumija” requires that dinners be ordered in advance for certain periods. Please make reservations ahead of time.